The following services on arrivals are exclusively for incoming mountain tourists who have registered for Damavand Private Tours. Just let us know your arrival details to make the necessary preparation for your trip. - Greeting at IKA International Airport. - Transfer from IKA to Tehran (hotel) and later to the first camp. - Transfer from IKA directly to starting points of Mount Damavand Iran, camp1 Polour. 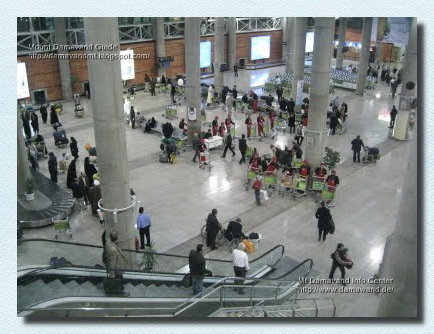 support transfer from Tehran to the first camp (not from IKA Airport to the first camp). Current time: 25-04-2019, 06:29 AM Powered By MyBB, © 2002-2019 MyBB Group. Theme created by Justin S.